Durablind Enhance cassette blinds are simple to operate and very strong, covering large windows with ease. The fabric is locked into a groove in the barrel and runs in 55mm side channels, in the event of pressure being applied to the blind it will stay within the guides. 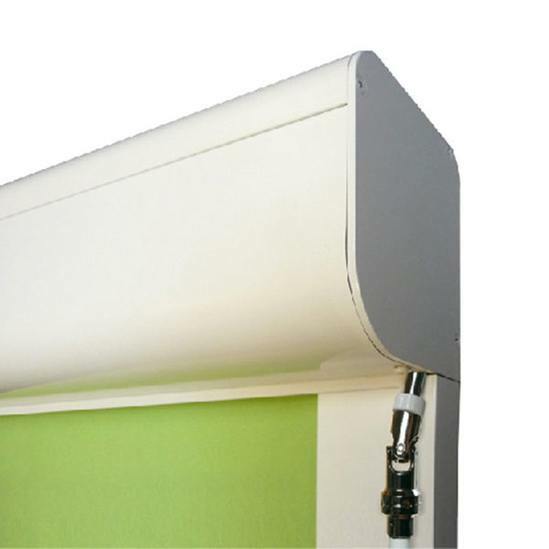 A slim aluminium bottom channel makes for positive attachment to side channels along with studs fitted at the edge of the fabric to retain it within the side channels. 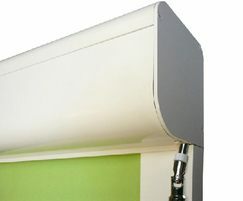 Side channels and head-box are fitted with pile-seal light sealing. Durablind Enhance can also be used as a blackout blind when used with Westgate's Durablind blackout fabric range. The side channels and cassette design will reduce any light ingress, either in a recess fit or face fit. Durablind Enhance is available with manual operation with heavy-duty removable magnetic crank handle, or electric operation with internally contained 230v AC motor. Fabric special features: fire retardant, anti-bacterial*, wipe clean*, wipe with damp sponge*, suitable for moist conditions*, 100% polyester* - *depending on fabric type.